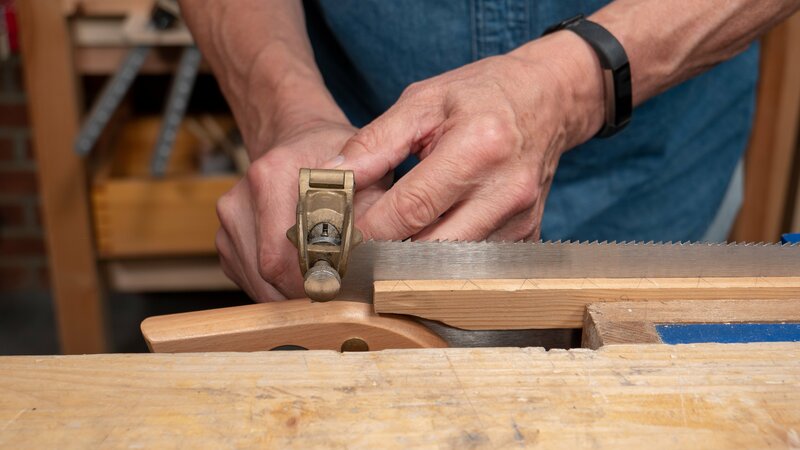 When using a sawset, start at one end of the saw and work your way down, setting each alternate tooth so you don’t lose track of your pattern (ripcut/crosscut) and end up setting the teeth in the wrong direction. Set every other tooth one way, then turn the saw end for end and repeat the process on every intermediate tooth. To test the set, make a cut with the saw and see if the saw plate wobbles in the cut, if so this can mean the teeth are over set. 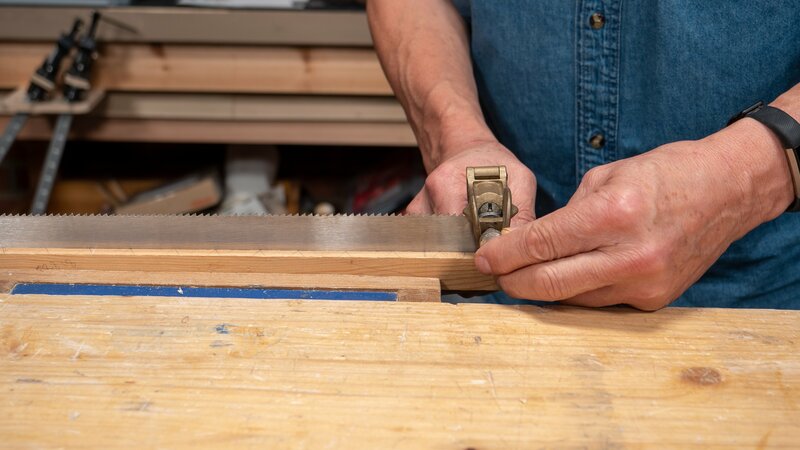 An uneven sawset often results in a curved cut so it is necessary to correct this by evening out the set. Secure a hammer in the vice with the hammer face above the top of the vise jaws. Place the end teeth of the saw plate horizontally across the face of the hammer. Use a second hammer to tap all of the teeth against the first hammer face, using consistent pressure and gradually moving the saw teeth between the hammer faces ensuring that all the teeth receive a hammer tap. This process leaves enough set for the saw to cut effectively and progressively. 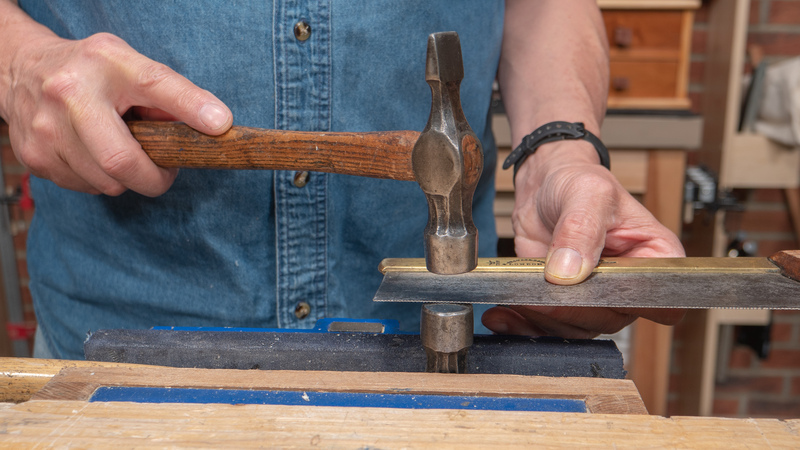 Depending on the previous set, sometimes hammer correction can completely remove any existing set, requiring you to use the sawset on the saw. The sawset has one static arm and one moveable arm. When both the arms are squeezed simultaneously the punch emerges out from the body of the sawset and pushes the tooth over. 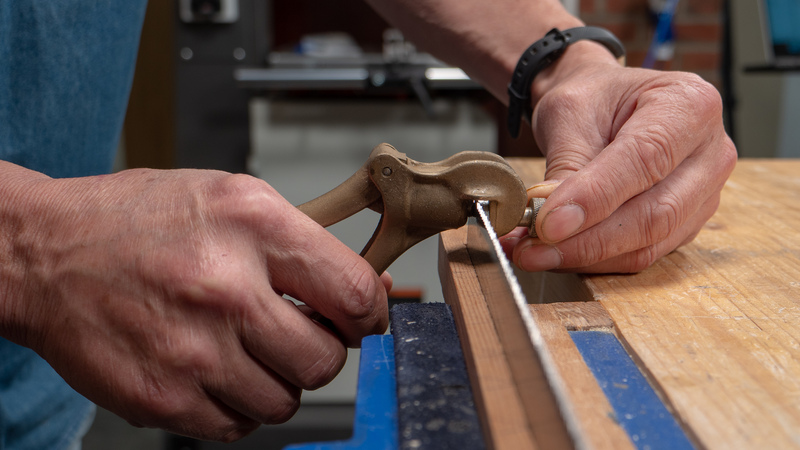 Use your other hand to hold the knurled screw, this steadies the sawset as the punch engages the tooth being set. There is a tendency for the sawet to drift from the tooth otherwise. Saws with small teeth can be hard to set using a sawset. If this is the case, use a nail punch and hammer to set the teeth. 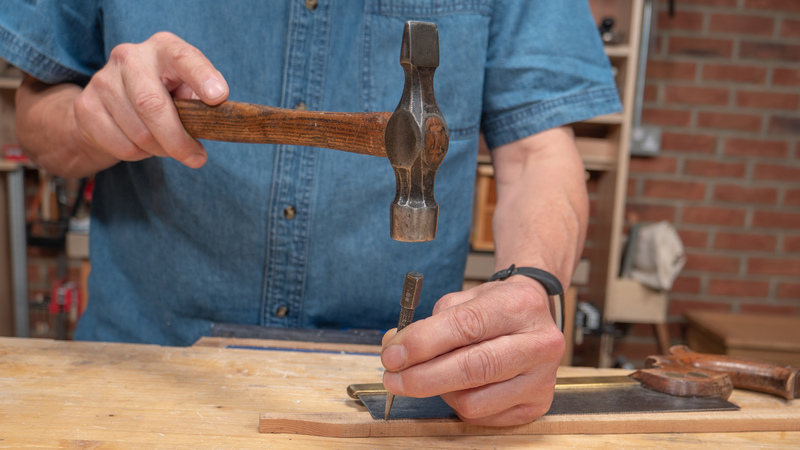 With the teeth laid flat on a piece of wood, make sure the nail punch is in the centre of each tooth and use evenly consistent pressure when you tap each of the teeth. Make sure to set every other tooth, and then flip over and do the alternate teeth from that side. Then put the saw plate in between 2 hammers (the same process as if you were reducing the set) and tap all the way along the plate. Do one side first and then flip over and do the same from the opposite side. The ‘memory’ in the steel will return the teeth to an even set.